Free Shipping for 12 Months! Who's excited?!?! We are super-excited to share with you a special offer that we have been working on for some time. Going forward, customers who register on our site and spend HKD 500 or more in one or multiple orders are eligible to upgrade their membership and receive free shipping on all future orders for 12 months. In short, get more while spending less. For our existing registered members, those that have spent over HKD 500 on our site with us in the past are immediately eligible for this offer. Just log in to your account and check your member status under Account Settings to see if you are eligible. If so, upgrade your account and you can start saving on future purchases right away. We are so grateful for all the support that we have received since we started this venture and we are always looking at different ways that we can improve the experience of shopping with us for our customer. We hope that with this offer, you can now shop more easily on our site. For more details see our FAQs regarding Free Shipping. If you have any questions, please send us an email at info@ganaskids.com or send us a message via Whatsapp (6015-1882) or FB Messenger. To be eligible for free shipping, order(s) need to be made within a 12 month period. This offer is is only available for registered members who have activated this service for delivering orders in Hong Kong only. For members in other regions who are eligible and have activated their free shipping, we will deduct 28 off the shipping fee. 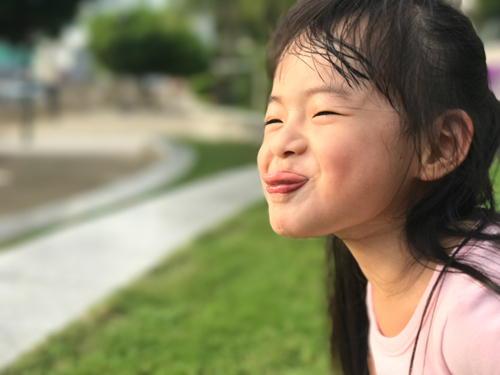 Children are so expressive and full of life that people often assume it’s easy to take great photos of them. As parents know however, that’s not the case. With their limitless energy, it’s often a challenge just to keep up with your little ones! Capturing the rare moment is difficult enough without having to lug around a heavy camera and cumbersome photography equipment. Luckily, most of us carry smart phones that are more than capable of taking amazing photos. But if that’s so, then how can we take better kid pics? 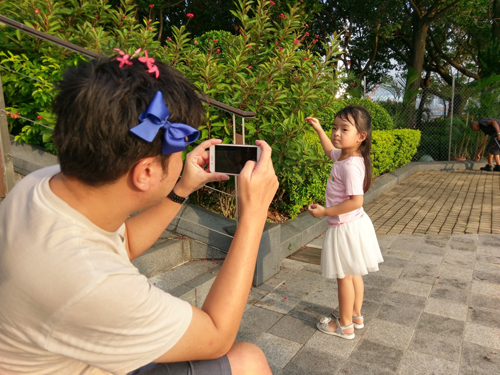 Here’s 3 simple tips for taking instaworthy photos of your little one with your smartphone. I can not emphasis this one enough! All too common I see parents taking photos of their children standing upright. Why not? For most people we don’t even think about this. We view the world at our own eye-level. We determine what looks good or bad at our own eye-level. In photography however, we need to consider the angle that of the shot and how that impacts the image of our subject. 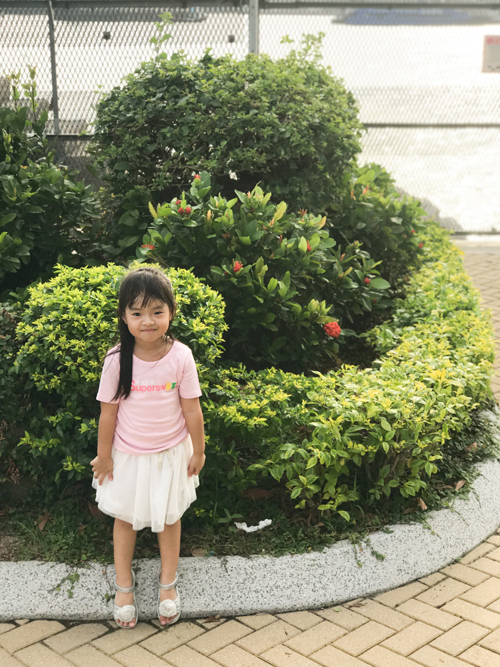 For child photography, standing upright causes your subject’s head to look large and comparatively his or her legs really short. Not the most flattering angle for any of us, is it? Luckily, this is an easy fix.Instead of taking photos standing upright, get down to the eye-level of your subject, and just like that the result is worlds apart. Often when taking photos, to capture the moment, we try to include as much in the picture as possible. This is particularly the case when we are surrounded by beautiful scenery. The grander our vision for what we want to capture, the more we want to include in the photo. However, as a result, we often take pictures so wide that it makes the subject appear way too small. Even worse, another unwanted result is that we end up capturing a lot of strangers and unwanted elements in the photo. Try to fight your urge to capture everything in one glorious shot. Instead, go closer, eliminate those unwanted elements and focus purely on your subject. Often it’s the tight shot that makes it to your top favorites. We have all seen it. You know, those outdoor photos with the sun blazing down and your kid squinting in every photo? The ones with the harsh shadows on everyone’s faces? Frankly, we have all done it. For outdoor photography, the best time is 1-2 hours before sunset. Not only is the temperature a lot more easier to manage, this time of day also provides a much softer lighting. As a photographer, I am always trying my best to capture the personality of the subjects that I work with. 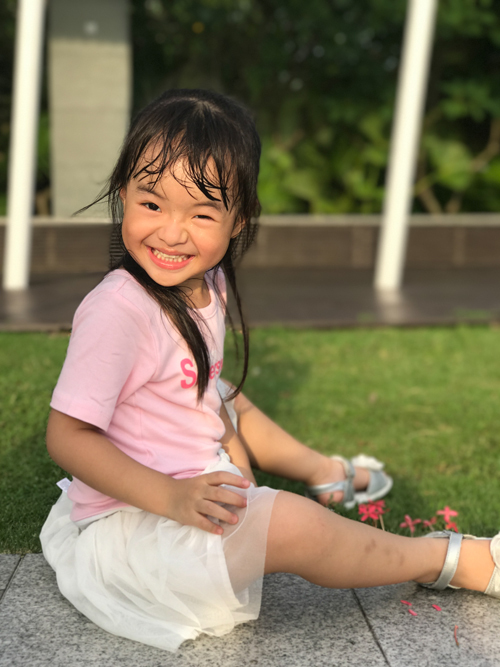 With these easy tips, I hope that you’ll be able to dramatically improve the quality of photos that you take with your child and capture more of those everyday moments and make them instaworthy. Were these helpful? Please write to me and let me know. I’d love to hear from you. 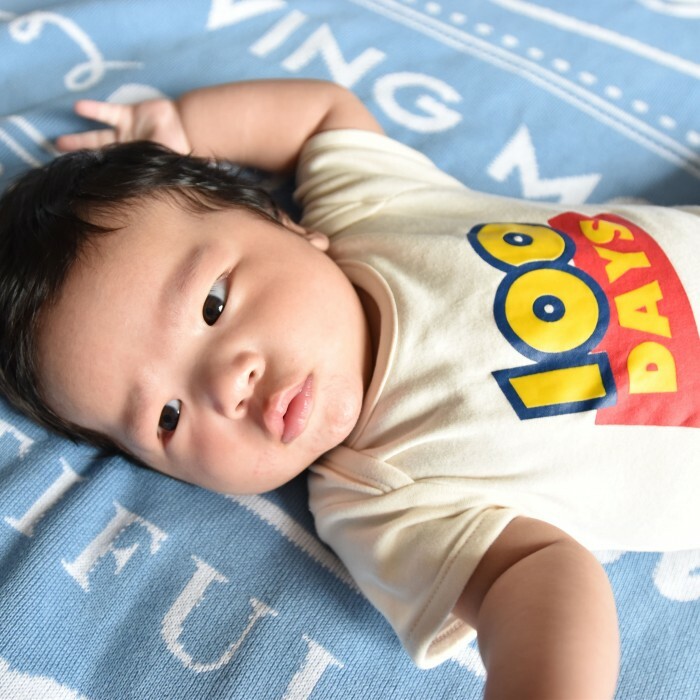 In Chinese culture a child’s 100 days was historically an important milestone in a baby’s life – a celebration of life when the odds of reaching 100 days less certain than today. Nowadays it often marks the first time your baby is introduced to friends and loved ones. 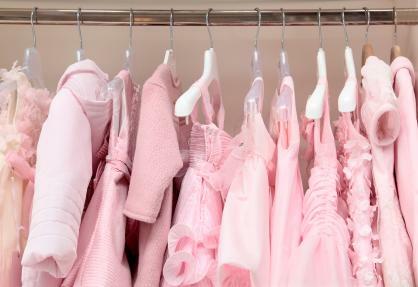 It’s a fun and festive occasion – a coming out party for your little bundle of joy! 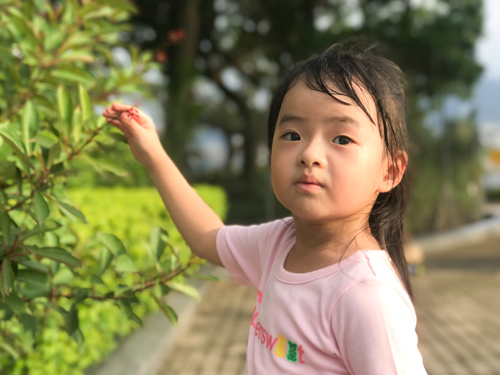 Though just one day, a child’s 100 days is an important event and one that Chinese culture celebrates but is less well known in western culture. As such it was important to us as a brand that celebrates Asian culture to have a design that celebrates this important milestone. Unlike some of our other designs which came together quick easily and naturally, this one was very challenging. We started with some traditional Chinese elements for 100 day celebrations. Red eggs and ginger in Chinese traditional red and gold for example. We also tried playing with the lettering and doing some elegant flower designs. However, none of these designs seemed to achieve the effect that we wanted. 100 days is a joyous occasion. It should be fun and lively and a spirited celebration. These designs did not accomplish that so we went back to the drawing board on multiple occasions to see if we could come up with a design that was more spirited. In our initial conception of the idea, we wanted to create something that celebrated a very traditional Chinese custom. Because of this, we forced ourselves to use traditional Chinese colors and symbols to interpret the occasion. It was only when we stepped away from this work that we realized anything that in concept celebrated 100 days was inherently in line with our overall brand concept. The design didn’t need to take into account traditional Chinese symbols and colors – the cultural element was imbedded inherently in the concept itself. When we realized this, we were able to expand our ideas for how we could interpret this tradition in a fun new way. The final design is something that took many iterations, but in the end, we came up with something that we are thrilled with and that has resonated with our customers alike. Our long sleeve Shuai bodysuit in navy blue was one of the first Chinese character graphic designs that we came up with. We received a lot of positive feedback on that design from friends and customers as well who loved the concept. 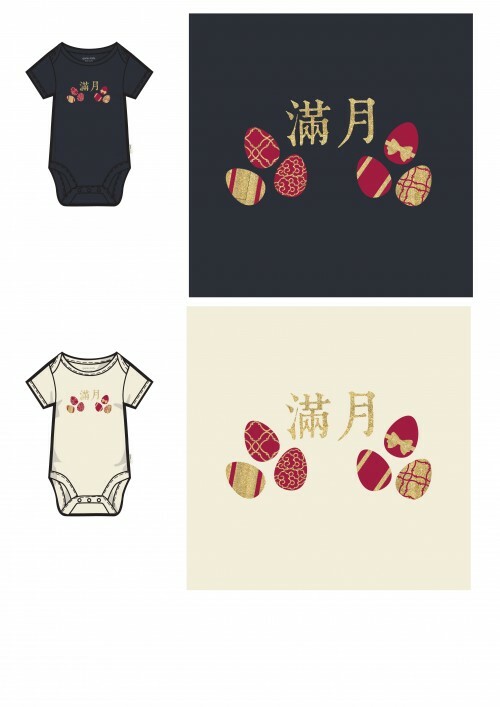 At the same time, many customers were disappointed that we didn’t have a similar concept design for baby girls and asked why. The answer simply was that there was no particular reason. As such, the seed for this was planted early on. At one point, a customer suggested that since we had a Shuai design, that we needed a Meng design. When we hear that, we knew right away that she was right. Meng is a Chinese word whose literal meaning is sprout, as in the sprout of a plant. It has been used in a more casual manner to describe something that young, cute, often feminine – in other words, adorable. The word itself is not particularly adorable-looking so we had a somewhat difficult time thinking about how to translate this idea into a fun graphic. The idea for the design first came after doing a lot of word associations to think about what types of things people often think of as being cute. Of course, pets are one of them, and cats and dogs are naturally one of the most popular. The design didn’t really take shape until we began to play with some imagery and realized that the top part of the word could be interpreted to look like cat ears. After that came a few iterations where subsequently we added the paws and the tail, like a costume. That’s when we knew we had something fun and unique. Do you have any design ideas for us? We’d love to hear from you! Please contact us and let us know what fun ideas you have for us! Maybe your concept could be the next one that we turn into one of our graphic designs. In our designs, we always try to be a bit unexpected and unconventional. A lot of thought goes into not just our graphic designs, but also our fabric and color choices as well. While babies clothes are usually bright in color with a lot of pastels and baby pinks and baby blues, we wanted to be bold and try something different. That’s how we ended up with charcoal as one of our primary color choices. Charcoal is a very sophisticated color. Versus a traditional black, it carries more depth and character. 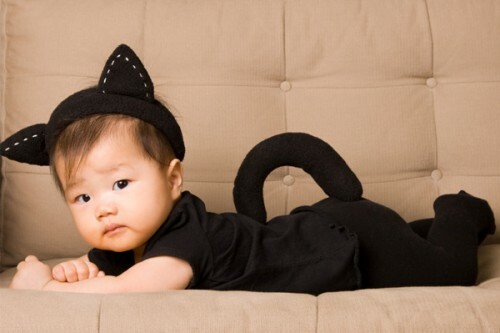 While black and a dark shade like charcoal is a very popular color for adults, it is much more rare to see in babies clothes. Shuai, which means “cool” in Chinese, complements this color perfectly which is why we decided to use it as the base for this graphic design. Like the word, we knew that we wanted this design to be cool. That meant it needed to be a simple design, not cluttered yet sophisticated as well. We began playing with the wording and different fonts designs, colors and placement. We chose a font for the design with a similar cool vibe to the fabric color. The characters we slanted at an angle to add to the sleek feel. We liked the white on charcoal but thought that this in and of itself was a bit too simple. We wanted to add a splash of color to make the shirt really pop and tried small symbols to see the effects – none of these however, felt very unique. In the end, we were inspired by Star Wars which has been such a strong force in pop culture and even more so recently given the latest string of movies. Hence we added a light sabre in reference to this. 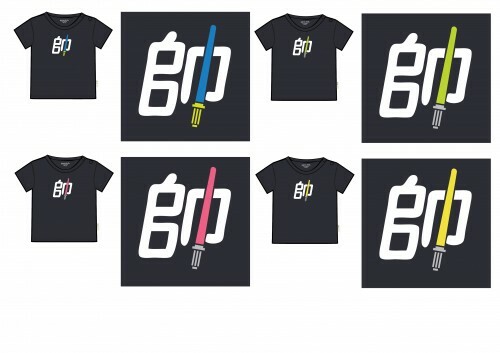 We took a bit of creative license and tried multiple colors for the light sabre include some that were in the move and some that weren’t. We wanted to add some texture to the final design so the white letter was done in flocking. In the end, we chose the lime green color as the most complementary one to the design and the prevailing colors scheme. Would you have chosen the same one? Let us know. Design, and the creative process is funny – a great outcome is not always a function of the amount of time spent. The inspiration for our Feed Me Milk design for instance came relatively quick. We were in the middle of multiple drafts of a different design which would eventually be our 100 days bodysuit. We had come up with designs based on a number of different concepts but it just wasn’t coming together. From our initial launch, we have received a lot of feedback on our designs from friends, customers and non-customers alike. Searching for inspiration for our designs, we originally started playing with iconic images of Hong Kong. These include images such as the Hong Kong skyline, junk boats, the star ferry etc. 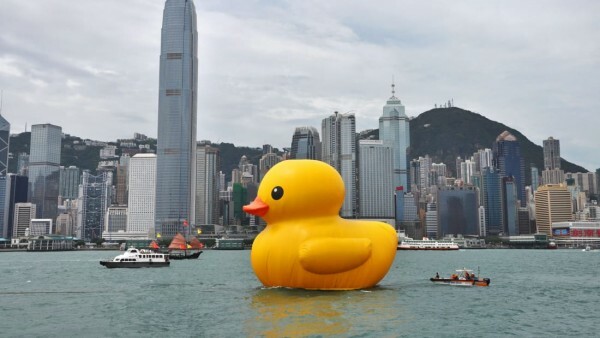 With images of Hong Kong on the brain and on our computer screens, it was a natural evolution from thinking about iconic images to thinking about iconic logos. Vitasay is one of the quintessential Hong Kong brands. For many, it brings back fond memories of their childhood. 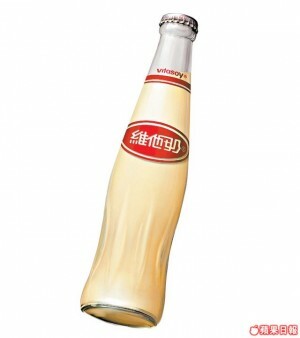 Its products can be found throughout not just Hong Kong but in Chinese grocery stores or Chinese supermarkets around the world. This article gives a brief history of the Vitasoy brand. 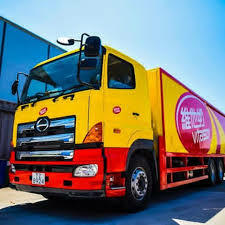 In Hong Kong, Vitasoy trucks can be seen traveling throughout the city supplying Vitasoy products, soy milk, lemon teas and other drinks to the local convenient stores and supermarkets. It was while walking along the street one day mulling over our 100 day bodysuit and we came across one of these trucks with the iconic Vitasoy logo emblazoned across the side that the idea struck – literally. Vitasoy short for Vitamin milk. In Chinese, the Vita is short for vitamin, which also is the phonetic sound of “wei-ta” the first two words in the Chinese word for vitamin. “Nai” from the word milk. In this case soy milk, made from soy beans. It wasn’t more than 30 seconds later that the idea came. Babies are always drinking milk. I want milk (我要奶）. We can make a design for I want milk (我要奶）. The design came together easily. 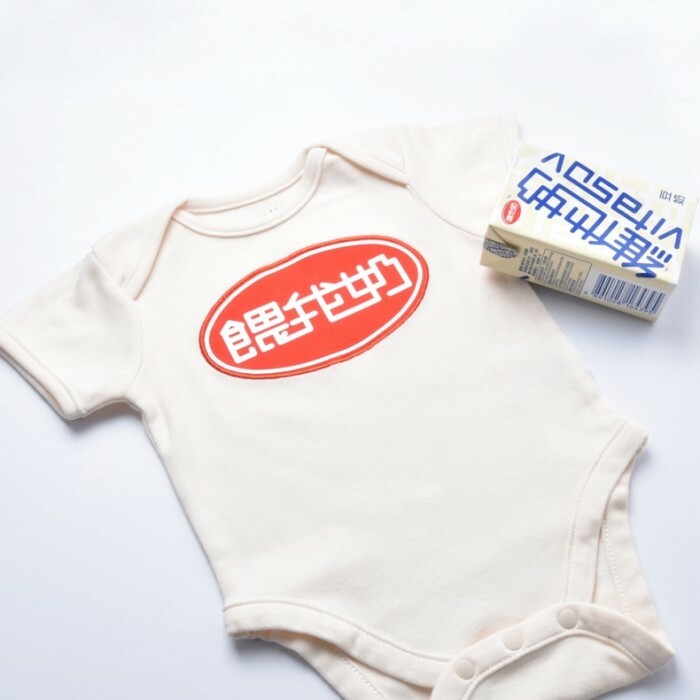 Our core cream fabric just happens to be the color of soy milk so it was natural to pair the logo design with our cream fabric to create a product to mimic the iconic glass bottle Vitasoy drink. Once we saw the finished sample we knew that we had captured lightning in bottle. Well, at least soy milk. When coming up with design ideas, you never know where your next inspiration will come from. Hong Kong pop culture is heavily influenced by Japanese and Korean pop culture. That’s why when we started to notice people in Hong Kong with Superdry shirts everywhere, we didn’t think too much of it. The quality of their fabrics is great, the dying is expert, and the designs riffing off of vintage Japanese cool coupled with their great choices in colors are all reasons why people love the brand. If you are curious like me however, I’ve always wondered what the Japanese writing said – initially I just assumed that it was “Superdry” in Japanese. It was only after discussing with a friend that I learned that the Japanese writing in their signature design has no meaning! Not only that, Superdry isn’t even a Japanese brand! It’s from the UK! I couldn’t believe it! A British brand that had created an identity leveraging Asian cool with vintage Japanese design and aesthetic. And the Japanese didn’t even make sense! As a side note, as a child growing up in the US, it always confused me every time I came back to Asia and saw the English sayings on clothes and in the stationary stores etc. It was often just a bunch of made up gibberish that made no sense. At the very least it should make sense! That’s when the thought of doing a “super” design hit me. We often use the word “super” to emphasize what we are saying. It’s a message with a positive tone and something that we could really play around with. We could combine English and Chinese and also incorporate some cute character graphics. It would be perfect! If not perfect, at least it would make sense. We began to brainstorm different design ideas and came up some really good ones. We had a lot of fun coming up with different sayings. We decided to go ahead with a neutral design and a more girly one and ended up settling on Superstar and Supercute because we loved the message. Hehehe. What do you think? Would you buy a bodysuit with this for your child? Shopping for kids clothes can be fun and adventurous. 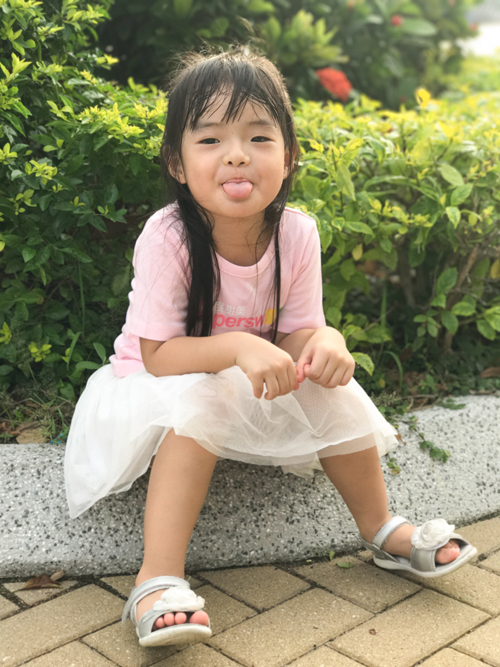 There are so many great brands that are making high quality clothes with whimsical designs using fun themes, cute characters and adorably saying. 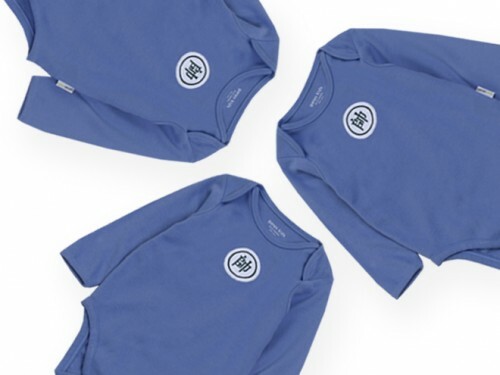 When our first child was born and we began shopping for clothes for our baby girl however, it quickly became apparent that the selection of high quality baby clothes came primarily from western brands. That’s when the idea for Ganas Kids first came to us. 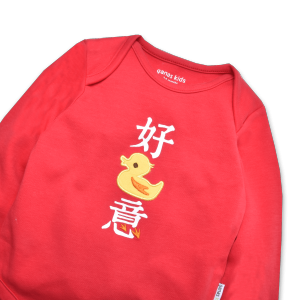 As a baby apparel and kids clothing brand that celebrates Asian cultures, we knew that we wanted to incorporate Chinese wording and characters into our designs. We thought a lot about how to develop this concept in a playful manner. 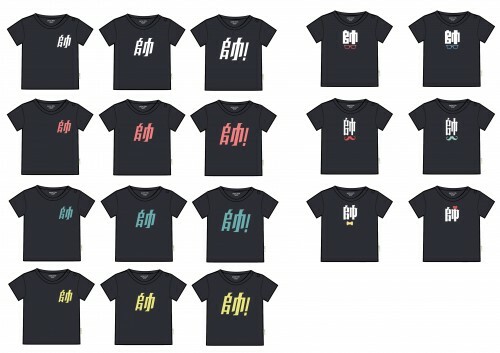 Our Hou Duckie design is an attempt to infuse Chinese character influence into our graphic designs. It is a play on words from “hou duc yi” which is “cute” in Cantonese. 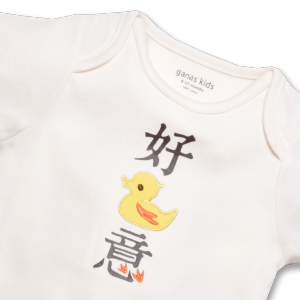 You can often hear people commenting “hou duc yi” when they see newborn babies which is why it is a perfect saying for us to develop into our designs. That Duck is a homonym for the word “duc” worked out fabulously in the design. 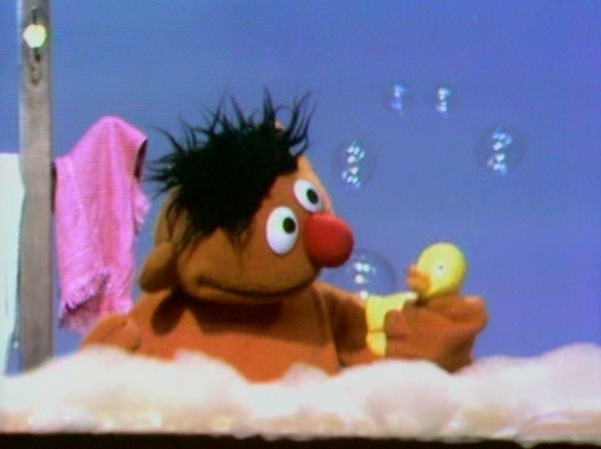 It doesn’t hurt that rubber ducks are an iconic childhood (bath) toy…. … and that Hong Kong people love them. In our initial design, we decided to use the silhouette of the duck body to make sure that there was no confusion about the design of the character. We played around with the color of the rubber duck but decided to stick with a more traditional bold yellow color which was a strong contrast from the character design. For the Chinese characters, we decided on a somewhat traditional font to give the graphic a classic feel. The final design was something that we fell in love with right away. After placing an initial order for short sleeve bodysuits and tees, we decided to extend the design and include long sleeve items as well. This design will always hold a special place for us because I think it was the first one that we developed where we saw a real emotional reaction from our customers and they really responded to our designs and our design concept. One of the great joys of building a budding babies and kidswear brand is hearing from our customers. We love seeing happy customers and their babies and toddlers. We love that we can be a small part of your family story. With this in mind, we have been working on a special treat that we are excited to share! We have partnered with our friends at Venture Studios, a leading photography studio with roots in the UK, to offer COMPLIMENTARY family photo shoots for select customers. Venture Studios is a professional photography studio with almost 20 years history including over 10 years in Hong Kong. They specialize in family portraits that will give you and your family a lifetime of memories. As you can see, the pictures really are fabulous. So how do I qualify for the Free Photo Shoot Package? 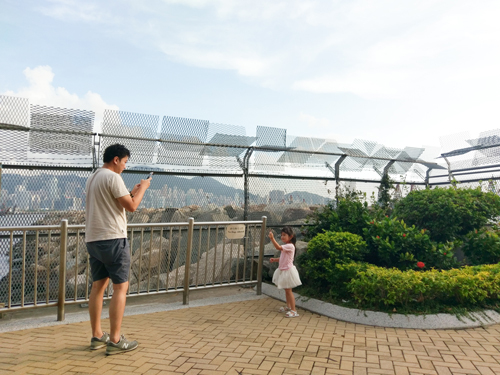 Simply purchase over HKD 500 in a single order with us, and you will be entitled to a complimentary Venture Photo Experience with Venture Studioes valued at HKD 2,500. Be sure that you have registered on our website and that your contact information in your order is correct. A representative from Venture Studios will contact you within 7 days to schedule an appointment. We hope you enjoy this amazing offer. And we would love to see the pictures! Please send them across! 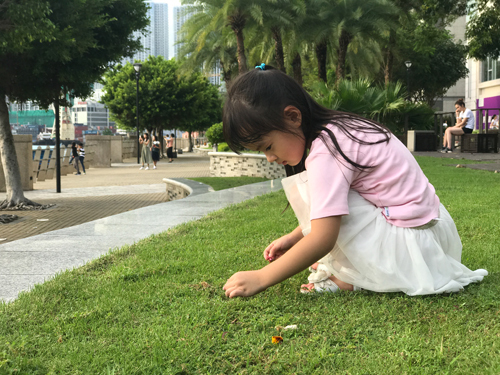 Venture Photography is a world leading contemporary photography company, capturing the stories of families through eye-catching personal art for over 10 years in Hong Kong. Venture believes photography is not only about the stunning visuals, but the story and idea behind the image. All Ventures’ photographers are BIPP certificated and this makes Venture unique. Venture Studio located in Central & Tsim Sha Tsui. Note: Ganas Kids and Venture Studios reserve the right to terminate or suspend the promotion or a user’s ability to participate in the promotion at any time for any reason. Not another Christmas Gift Guide! Struggling with Christmas gift inspiration? We hear you! The holidays are a special time of year filled with family, love, joy and warmth. It’s an opportunity to reflect and give thanks to the people that matter most in your life. Gifting is a big part of the holiday tradition. 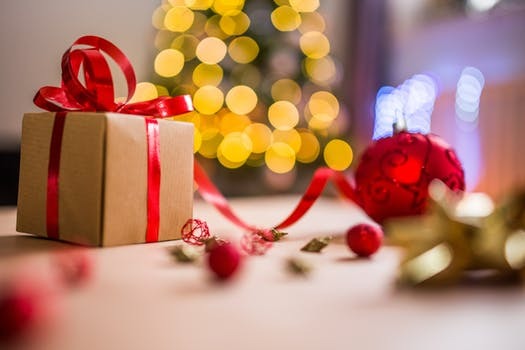 If you are looking for great gift ideas to help you sift through the clutter this season, there are tons of gift guides available online to help you find fabulous gifts for everyone on your list (we list some for your convenience at the end of this blog). And while we love shopping, Christmas shopping can sometimes be an unwelcome source of stress. Those aren’t even the difficult ones. The difficult ones are the ones that you really care about – the few people for whom you spend hours hunting for the elusive “perfect Christmas gift.” If you are lucky, you eventually find “it.” Hopefully “it” is not already sold out. Only on the rarest occasions do you have an “A-ha!” moment and come across something that calls to you and you think to yourself “this is perfect for [Fill-in name/ relation]!” It may be big, or it may be small. It’s most likely a bit unexpected – perhaps you were searching for a gift for someone else at the time. Perhaps the person who comes to mind wasn’t even on your original list to begin with. While we can’t help you with the rest of your Christmas shopping, this holiday season, we’d like to offer up one small suggestion. If on the off chance you do have this “A-ha!” moment while out Christmas shopping, and if you are hesitating because either the gift is a bit more than you were planning to spend, or perhaps the person you are thinking of wasn’t originally on your list, or some other reason… just go ahead. Buy it. Even, and maybe especially if it is for someone that you originally weren’t planning on sending a gift to. Because the holidays are all about the spirit of giving. And often times giving when it is the least expected is when it is the most meaningful and memorable. 7 Tips for a Fun and Memorable 100 Day Baby Celebration! A 100 day celebration is an important milestone in your baby’s young life. Attending to some of these small details will make your party a fun and memorable event on any budget. For many Chinese families, the 100 day celebration is traditionally an important milestone in a baby’s young life. Historically when living conditions were more difficult, it was a celebration of survival for young newborns. 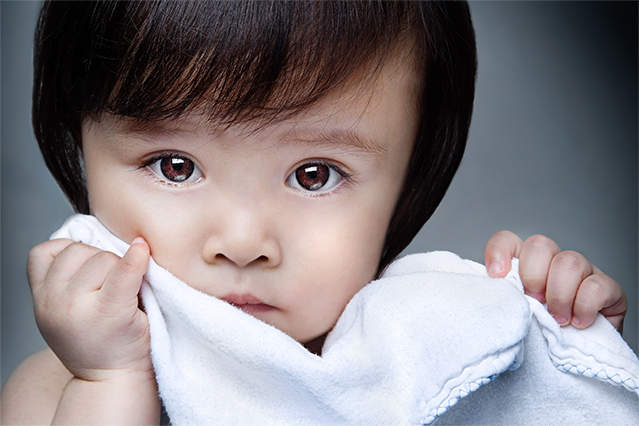 Today, it often marks the first time your baby is introduced to friends and loved ones. It’s a fun and festive occasion – a coming out party for your little bundle of joy! Planning such an event however, can be stressful. We’ve gathered some tips from experienced moms that we believe will be helpful for parents looking to throw a fun and memorable event. “Add a personal touch. It doesn’t have to be something big – for example, customized cakes, cupcakes, or cake pops are an easy and fun way to add a bit of your own personal flair.”Another suggestion to make your party unique is with goodie bags and personalized party favors. Items such as a picture card of your baby or something similar are great and memorable keepsakes. This one is our own advice, from our experience. Trust us, they won’t mind. Especially on this day. For a bit of freedom while you enjoy yourself, let them spend some quality time with your child while you enjoy the company of your friends and family. 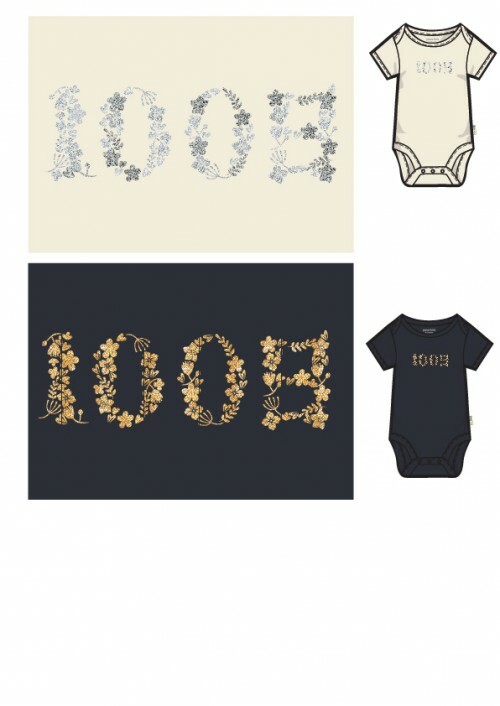 A 100 day celebration is a fun and memorable event for you and your baby. We hope these tips prove helpful in your party planning process. Do you have any others that you think other moms would appreciate? Please write to us at support@ganaskids.com and let us know. Below is a list of links for resources for you to plan your baby’s 100 day celebration.